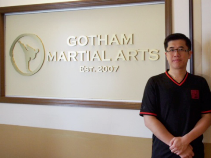 Master Kwok established his martial arts school, Gotham Martial Arts, in 2007. His goal is to develop better individuals to serve the New York community and provide precise and attainable instruction where more people would benefit from the mind and body integration for which martial arts training is well-respected. Master Kwok’s contributions to Wing Chun Kung Fu and the traditional martial arts culture have been well recognized and respected. He has been profiled in numerous newspapers, periodicals and television networks such as New York Daily News, Sing Tao Daily, Wing Chun Illustrated, Next Magazine, Sinovision, China Central Television, and etc. In September 2014, he was honored by the Martial Arts History Museum in Los Angeles as a recipient of the Museum Honor Award for his excellence in the martial arts and his contributions to the local community. In December 2014, Master Kwok was honored martial arts title “Grand Master in Wing Chun” and rank “7th Dan Menkyo/ Grand Master in Martial Arts” by World Personal Martial Arts Federation, a non-profit and voluntary organization. In January 2015, he received the Silver Lifetime Contribution Award at Action Martial Arts Magazine Hall of Honors in Atlantic City. Outside of the Wing Chun Kung Fu world, Master Kwok’s experience was quite varied. He is a direct student of traditional Taekwon-Do Grandmaster KIM Suk Jun and has achieved the rank of Master Instructor. Master Kwok has also earned Post Graduate Degrees from Harvard University and St. John’s University. Prior to teaching martial arts professionally, he was an adjunct professor of Managerial Studies at The City University of New York and was a member of The Asian American/Research Institute. He also served as Market Manager for a major telecom provider. What attracted you to Wing Chun (over other martial arts)? I have been training in martial arts since 1979 when I was seven years old. My father was a Physical Education professor at the Chinese University of Hong Kong. As a young martial arts fan, my father sent me to the Aikido club at the university, where I trained with college students. When I was 14 years old, my father introduced Wing Chun to the university as an after-school extracurricular. This was my first exposure to Wing Chun. I liked the Wing Chun principles of not using force against force and maintaining good body structure, but I couldn’t get into it because I didn’t see the practicality in that particular system of Wing Chun. I was a third degree blackbelt candidate in traditional Taekwon-Do in 2000. I remember sparring with a much larger classmate. During one sparring session, he kicked me square in the chest, lifting me into the air and sending me several feet backward. It was then that I realized that, no matter how much I trained, I would not be able to defeat someone bigger or stronger than me. I began to feel that I was missing something in my martial arts training, and I remembered my early introduction to Wing Chun.I tried studying Wing Chun again in many different schools, but was still not satisfied with what I learned.In 2005 I went back to my hometown of Hong Kong to do research for my Master’s thesis project. My research had nothing to do with martial arts, but I knew it was a perfect opportunity to search for answers in Wing Chun. 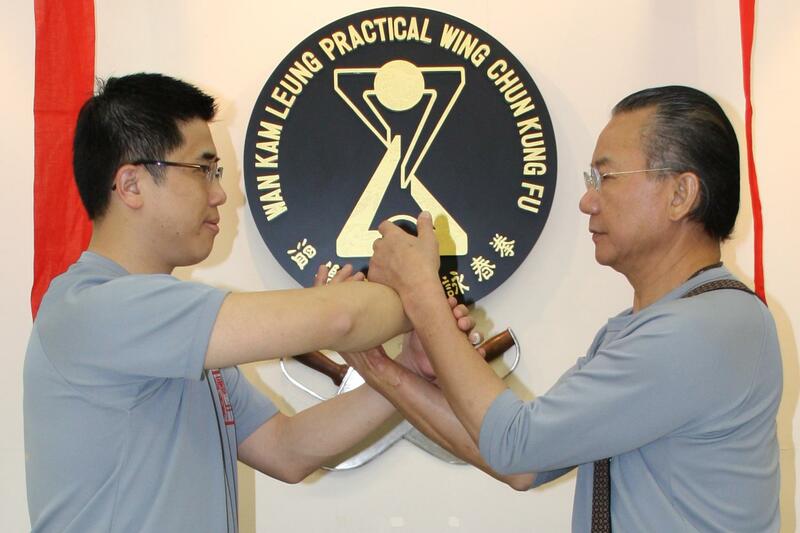 After I met my Sifu, Grandmaster WAN Kam Leung – Founder of Practical Wing Chun, I finally felt I had found the answers that I was looking for in a style of Wing Chun that was more suited for today’s world. Everyone should find the style that suits them the best. To me, I like Practical Wing Chun because I can do it well and it makes a lot of logical sense. I know I can practice Wing Chun even when I turn 70 because it is not taxing on the body. It is a very scientific and practical martial art that gives me a lot of room to develop and think. All techniques in the forms serve like different building blocks that can be combined in many different ways. It is interesting to find the most effective and efficient techniques in any given situation. Some people like Jujitsu and should focus on Jujitsu. Some people like Karate and should focus on Karate. It is not best to be jack of all trades but to be great at one style or system. I like most martial arts systems but I choose to focus on Practical Wing Chun because it gives me room to think and grow, as well as improve upon the current system based on original Wing Chun principles. I moved to New York City in 1991 for college education. Although I had a successful career path in the corporate world after I graduated from college, I found the most satisfaction from my martial arts training and teaching. Being a teacher is quite rewarding when you see students’ mind and body improve. With the encouragement from my teachers, I decided to dedicate myself to martial arts education. My goal is to develop better individuals to serve our community. To me, martial arts is education, not just an activity or hobby. When I first established Gotham Martial Arts in 2007, there were two other master instructors involved. Therefore, it did not make sense to name the school after any individuals. We preferred a name that gave people a “traditional” feeling and represented New York City. That was the reason that we chose the name “Gotham”. 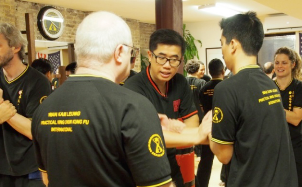 Besides Practical Wing Chun, Gotham Martial Arts offers instruction in traditional Taekwon-Do. While the other master instructors are no longer with the school, I have decided to keep the name “Gotham Martial Arts” because the name is well established in New York City. Today, I see Gotham Martial Arts as a channel to introduce and promote excellent martial arts in New York City. Did you, or do you feel the need to combine other martial arts to your arsenal? Why/why not? No, I don’t feel the need to combine Practical Wing Chun with other martial arts. Even though I embrace most traditional martial arts, I don’t support the idea of mixing different martial arts styles. Even though my school offers both Practical Wing Chun and traditional Taekwon-Do, we teach them separately. Martial Arts practitioners should not focus on too many styles simultaneously. It will confuse their mind and body. It is very similar to choosing a major when we attend college. We cannot just take numerous introductory courses and claim to be an expert of all. Eventually, we need to choose a major and focus on it. Colleges and universities have such academic structure for a reason. Great doctors and scholars spend years focusing on a few aspects of their specialty. Once we achieve a higher level on one subject, we can then appreciate other subjects more profoundly. I enjoy studying Wing Chun because it suits me well at this stage of my life. It offers me a lot of room to develop and think. Every practitioner should do a lot of research, find the martial art that suits them best, and stick with it. At a higher level in their martial art journey, they should also have a basic understanding of what other martial arts offer, which will improve their understanding of their own martial art style. All martial art styles have their strengths and weaknesses. No martial art style is perfect and so I encourage my advanced students to keep an open mind. When you train with someone more experienced, what typically impresses you? Training includes developing the body and mind. The theories supporting their training and techniques have to make logical sense. He/she has to be able to prove the effectiveness of the training/techniques by demonstrate it. We need to keep in mind that “more experienced” doesn’t mean “better”. Martial arts training include many techniques. We should view these skills and techniques like technology that is always changing and improving. If a person keeps on practicing the same way for many years without thinking about it, it limits the person’s improvement. To me, one’s attitude and approach toward training matters the most. When I train with someone more skillful like my Wing Chun teacher, Grandmaster WAN Kam Leung, I am always impressed with his fluidity of movements. A person has to possess an excellent control of hardness and softness in order to move and respond the way he does. Despite his 50+ years of training, he is still learning and improving. I admire and respect that tremendously. In a market heavy with Karate, Muay Thai and Jiu-jitsu gyms, what obstacles do you face opening a Wing Chun school? In America, “Wing Chun” is not as popular as names like “Jiu-jitsu”, “Karate” and “Muay Thai”. When most American people think about martial arts, they probably associate the movements with Karate, Muay Thai and Jiu-jitsu, or what they have seen in movies. When my prospective students visit my school, they usually have prejudgments about Wing Chun and some certain expectations about martial arts training. Some of them may have watched the movies about Grandmaster Ip Man and expect to learn how Donnie Yen fights in those movies. Some of them see martial arts training as an alternative of their workout. It is very important that my prospective students understand that Practical Wing Chun is primarily a self-defense system. It is a system evolved and developed by my teacher, Grandmaster Wan Kam Leung, based on the traditional Wing Chun he studied for many years and the many fights he had. I usually suggest prospective students take a trial lesson before they join the school. It is important for them to choose a martial arts system that suits them the best. 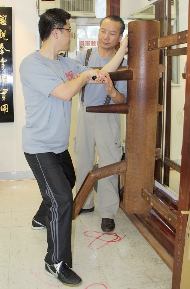 After trial lessons, they usually feel surprised by what Practical Wing Chun offers. Most of them choose to commit to the training and others continue to search for the martial arts that satisfy their expectations and needs. Growing up, what martial arts/martial artists did you look up to for inspiration? There were three people that really inspired me as a teenager growing up in Hong Kong. The first person was Bruce Lee. The first movie I ever watched was “Way of the Dragon”. The movie was rerun in 1983 in observance of the 10th anniversary of Bruce Lee’s passing. Bruce Lee’s on-screen martial arts skills were unlike anything I had ever seen. His movements were so fast and his kicking skills were incredible. He definitely inspired me to train harder perfecting my own kicking skills and to research more about his fundamental martial arts, Wing Chun. The second person was Jackie Chan. Although I really enjoyed Jackie Chan’s movies as a youth, I didn’t consider him as a martial artist but an excellent stunt performer. I admire Jackie Chan not because of his physical abilities, but the vision and approach to making action movies. When everyone wanted to be the second Bruce Lee after Bruce Lee’s death in 1973, Jackie Chan had a very different approach. He didn’t want to be a copycat. He was almost a complete opposite of Bruce Lee. Jackie was one of the first to successfully combine great physical skills with comedic talent. He was such a great performer. Jackie Chan kept changing his approach and improving his style. That made him a pioneer of action movies in Asia for many years. The last person was late Grandmaster WONG Shun Leung. When I was young, one of my father’s friends knew that I was into martial arts training. He liked to tell me stories about martial arts legends. There were many stories, but one story impressed me the most. He told me that there was a martial artist with amazing skills. He had won countless rooftop martial arts challenges in Hong Kong back in the 50s and 60s. I was very impressed and inspired by the stories. Many years later, I discovered that his name was Wong Shun Leung, a Wing Chun warrior. Therefore, when I later searched for a Wing Chun school, I narrowed down my search to only the WONG Shun Leung lineage. What are some common misconceptions in the Wing Chun world? I find that many traditional Wing Chun schools are too focused on traditional teachings that were passed down to them, and are unwilling to adapt to modern times. While I fully appreciate Chinese tradition, history, and culture, I also think that we live in a different world and environment these days and Wing Chun needs to adapt and evolve in order to remain a high form of martial arts while maintaining the core of the Wing Chun philosophies. We wouldn’t use cell phones from the 1980s the size of our heads to follow tradition, so why practice the obsolete techniques when we can modernize it? When we study martial arts, we should look forward instead of looking backwards. A common misconception is that traditional Wing Chun is still very effective in today’s world. What is wrong with that statement is that many people don’t realize martial arts techniques and teaching methods need evolved and can be improved without losing the core Wing Chun principals. When we watch Olympic events, we see new world records set every four years. It is because sports coaches and athletes always research and discover better ways to perform. Martial arts should be the same. The schools that follow a “traditional” Wing Chun approach stubbornly adhering to the martial art as passed down to them from their teachers. This is a great thing that the martial art system and culture can survive for centuries. However, even those that claim to be teaching traditional Wing Chun, you will find different ways of doing the same forms and techniques. It is natural for any instructor to interpret a detail-oriented and complicated martial art such as this with a different viewpoint from the next, and so the quality of instruction and training, as well as the techniques themselves, can be very different. Every lineage will have its own specific focus. Then there are some like my teacher that have attempted to evolve the art form based on practically and suitability for modern times but keeping the core discipline the same. I am not saying it is definitely better but just more logically in my opinion. Another misconception is that when many practitioners focus on Chi Sau practice without fully completing Siu Lim Tao (the first Wing Chun form) and intensively practicing San Sau (techniques and partner drills) from the form. Chi Sau should be a partner drill practiced to learn how to change the San Sau techniques, not just to practice sensitivity which is the usual explanation. To me, it does not make sense for students to practice Chi Sau after studying Wing Chun for a short period of time because they have no techniques to practice and respond with. Some even think that the Wing Chun forms have not much to do with Chi Sau. I find it unacceptable. Every single technique in Wing Chun should have a practical application. In my school, students need to learn part one of Siu Lim Tao and then practice extensively before learning part two of the form, and so on. After they learn and practice San Sau, they then learn Chi Sau. Students should practice Siu Lim Tao and San Sau for a few months before they practice Chi Sau. In order to understand Chi Sau, the student must first understand San Sau; to understand San Sau, they must understand the form. When we practice Chi Sau, we should be able to demonstrate what we have learned in the forms and drills, not only about developing better sensitivity. Speaking of Chi Sau, I would like to remind Wing Chun practitioners that it is NOT appropriate to visit a Wing Chun school,without any serious commitment or intend to learn that school’s system, and request to “touch hands” with someone. In traditional Chinese culture, this approach is considered rude and shows disrespect to the school. Is there a form, set of exercises, weapons etc, that you enjoy the most and why? I enjoy practicing the basics. The basics are the core and foundation of any martial arts system. If our foundation is weak, the advanced techniques are less effective. Moreover, even after learning a technique, we should relearn it some point during our training because we will be able to analyze it from a different perspective. And when one graduates to become a teacher, he should relearn it again because again it is viewed from a different perspective. The more we practice the techniques, the more we may discover about them. In Practical Wing Chun, I practice my forms every day. The more I train and perform the form, the more I discover the insights about Practical Wing Chun. Do you stress competition of any kind? If so, what kind? If not, why not? Competition is good practice. I occasionally send my traditional Taekwon-Do students to competitions because the experience can benefit their training. Each martial art has its advantages and disadvantages and strengths and weaknesses. If a beginner wants to learn a martial art discipline mainly because he/she is into competition, I would not suggest Wing Chun. Wing Chun is not meant for competition. It is a martial art created by a woman thus intended for a smaller person in size to finish a fight as quickly as possible. In competitions, there are always weight divisions and rules. Wing Chun does not observe those rules as there are no weight divisions when you are walking on the street and encounter a threatening situation. Therefore, the techniques we practice may not be suitable to use in competitions. In addition, Wing Chun specializes in short distance and is very effective in constrained environments such as elevators and on public transportation. It is extremely difficult to judge fairly in competitions. Although some Wing Chun organizations prefer to promote Wing Chun and create a sport version of it so that more people are interested in the style, I do not believe Wing Chun is well suited for this. Many teachers find competition a good training experience for some of their students. Although my school does not participate in Wing Chun competitions, some Wing Chun practitioners may find occasionally participating in competition beneficial. Everyone learns differently. Competitions can provide a platform for schools and martial arts friends to exchange ideas and develop friendships. However, participating in competition should not be the primary training aspect for a Wing Chun practitioner. What do you like to do in your spare time (when you are not teaching or practicing the martial arts)? I enjoy spending time with my family and disciples. We go to movies, dinner gatherings, tea lunch with dim sum, etc. It is important that we communicate and share the joys and challenges in our lives. I also enjoy reading non-fiction books and thinking about different aspects of my life when I am alone. Like Confucius said, “Knowledge from reading without thinking is soon forgotten; thinking without reading will make you self-righteous.” Reading helps simulate my mind and think more clearly. I am also interested in researching and developing more efficient ways of conducting classes and teaching my students. It would be an honor if I could meet with Master Huo YuanJia, a famous martial art master and a co-founder of the Chin Woo Athletic Association in China. He passed away in 1910. Despite of his heroic status in China, Master Huo was one of pioneers that embraced and supported different styles of martial arts. He has been portrayed in many timeperiod martial arts movies include Jet Li’s Fearless. Chin Woo Athletic Association was one of the earliest associations that accepted different martial arts and physical activities other than those taught by the master. I respect Master Huo’s open mind and support towards other martial arts systems. Many people still cannot do it today, but Master Huo did 105 years ago in China. Master Huo tragically died before he turned 43. I am turning 43 this year. It would be interesting to see how much he had achieved at my age. If I could meet him in person, I would probably ask him the challenges of founding his association and what he would do if he could live a long life. So, what does this have to do with projecting force? Well, joint sequencing in a squat movement has direct carryover to projecting force. One thing I often notice with people first learning absorb-project is that the hip-knee coordination is off. The knees drift forward first, followed by the hips drifting forward, and ultimately resulting in a forward lean with the weight on the toes. Starting the movement from the knees moves the knee into a suboptimal angle for bearing force, which in turn puts unnecessary shear stress on the knee and shifts most of the movement load to the quadriceps. There is also a tendency to lose suction on the kua when initiating from the knees. This manifests as the front of the body opening up and the mingmen closing; consequently, the shoulders move backwards as the body is moving forward, which is an inefficient movement pattern for projecting force forward. Projecting by initiating with forward knee movement results in movement that is off-balance, not harmonized, skewed towards a yang-only energy, and stresses the knees more than necessary. …and project and expand from the mingmen to initiate the movement, we get joint sequencing more like a proper squat. The mingmen and hips move back first, which keeps the knee in a better position. The aligned knee position allows axial force transfer through the joint, which minimize shear stress. With the force moving more through the center of the knee joint instead of shearing out, the quads don’t have to work so hard counteracting knee flexion (bending) and can thus be more relaxed. Moving from the hips first also distributes force to the strong posterior chain muscles (i.e. hamstrings and glutes) in addition to engaging the quads, so we get harmonization of the yin and yang muscles.